This beautiful lamp shade is handmade from lokta paper. 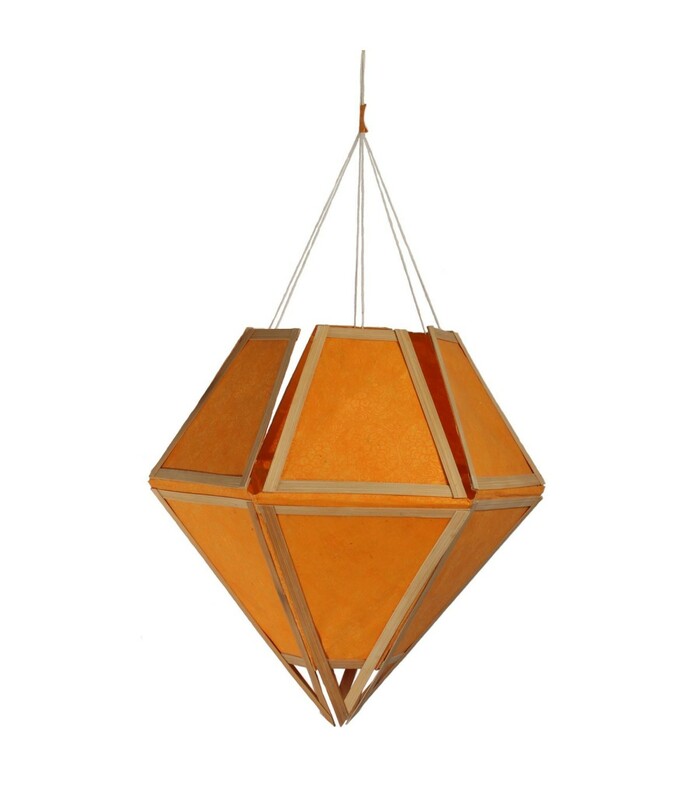 The lamp is packed and exported into flat triangular shape, you just need to pull and hold the string upwards and it will automatically form a diamond shape. 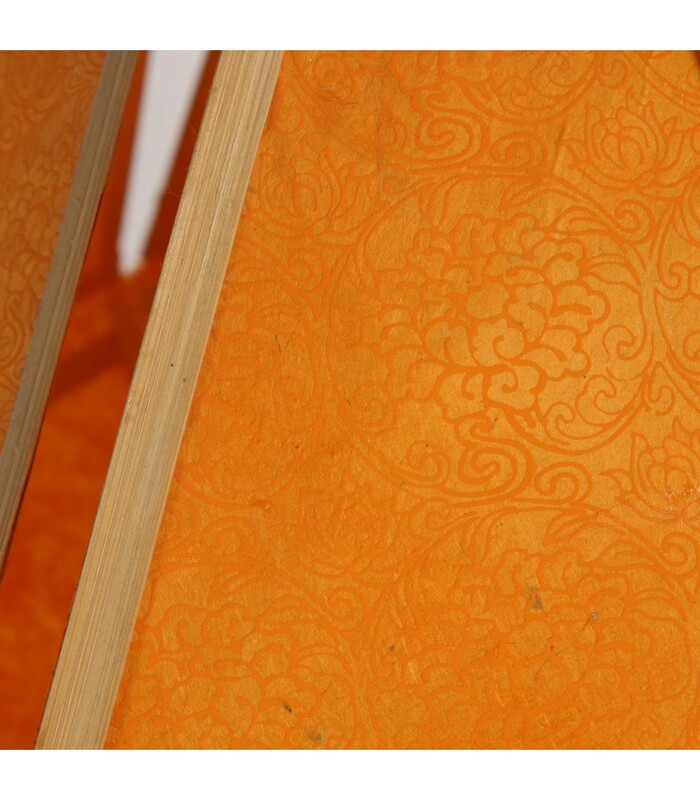 Lokta paper is durable, resistance to tear and has anti insects and anti moth qualities.